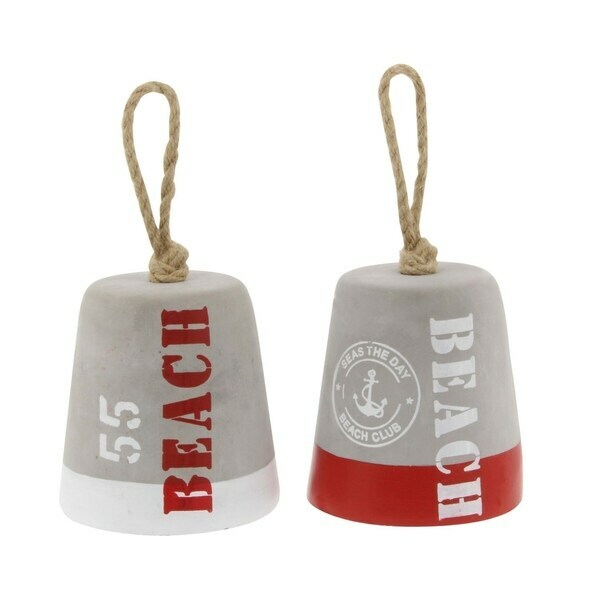 Perfect for beachside bungalows and coastal decors, this set of two door stops adds a touch of nautical flair to any decor. Emblazoned with beach-themed text and logos, the stoppers practically bring an ocean breeze to your home. Very cute. Adds a touch of a nautical theme to my decor. I use these as a door stop to keep my screen from hitting the house when the screen is open. I love them! Well made and great looking. Glad I made this purchase! Very cool doorstops. I gave it 3 stars because one was broken in original packing material and box, which was packed inside of of a shipping box. Neither box was damaged from shipping. I assume it came from the factory like that. Overstock was great about the issue and provided a solution I can live with. Would recommend product.